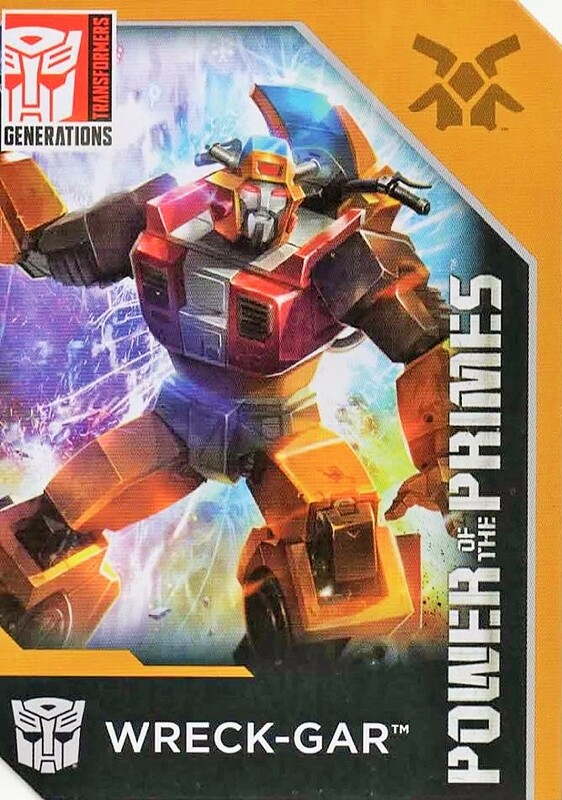 The goal is to catalog as many of the trading card sized bio cards packaged with Transformers toys, both official and 3rd party. 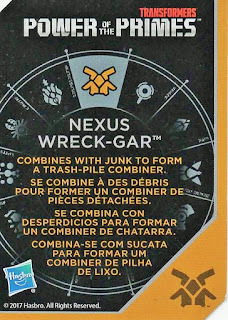 Related trading card sets too! 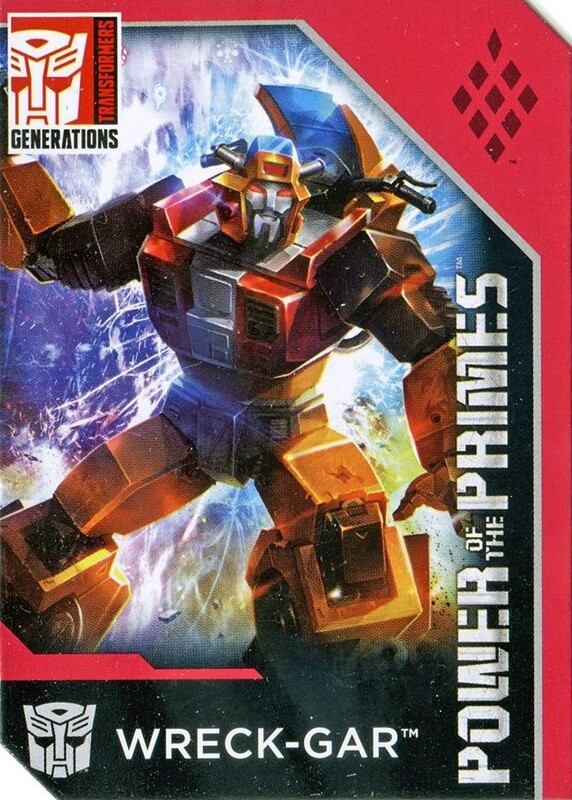 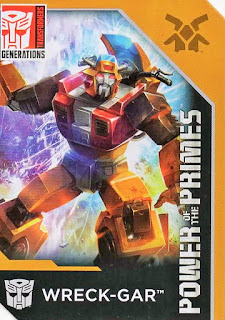 There have already been several sightings (and purchases) of one of the last Power of the Primes toys, Wreck-Gar, at Walgreens locations in the US so it come as no surprise of his addition to the Database. 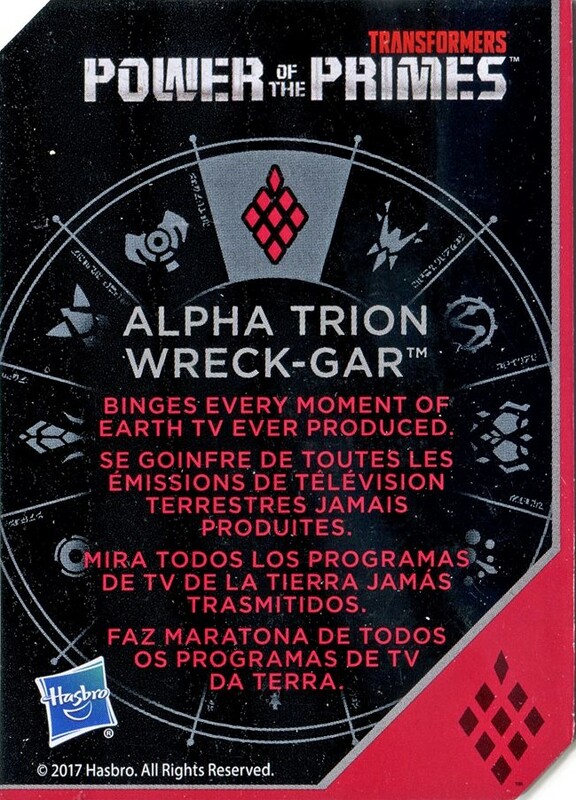 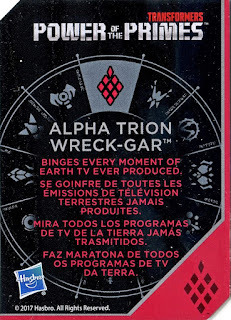 Thanks to Facebook user Jim Black for the Nexus version of the card and Benson Yee of BWTF.com for the Alpha Trion version. 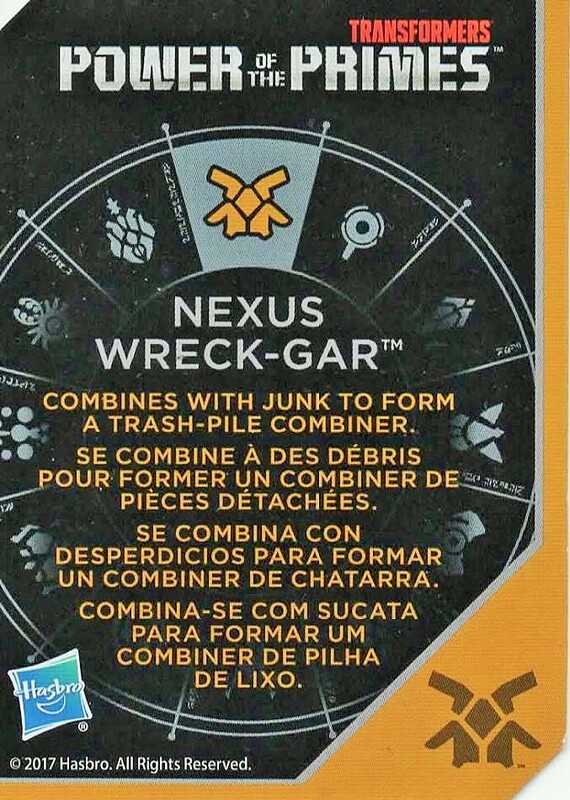 If you'd like to help, you can submit card images via the official Facebook Group or by click here for more info.